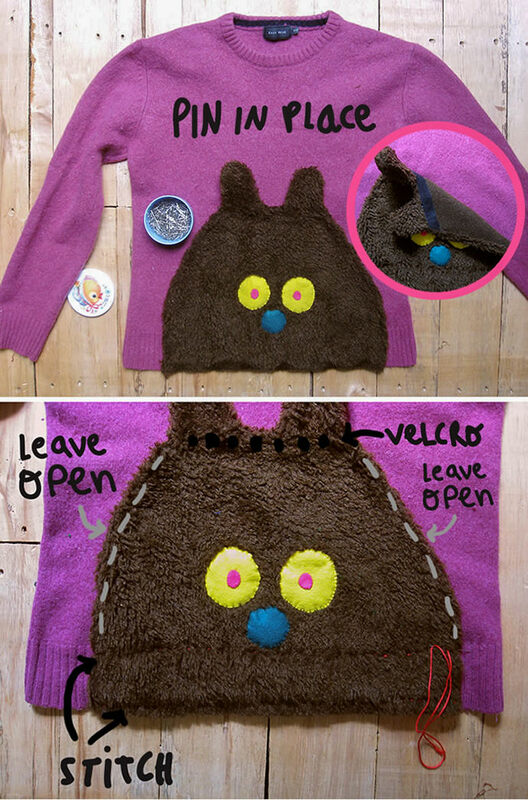 Here’s a cute idea for upcycling an old sweater while making it more useful at the same time. 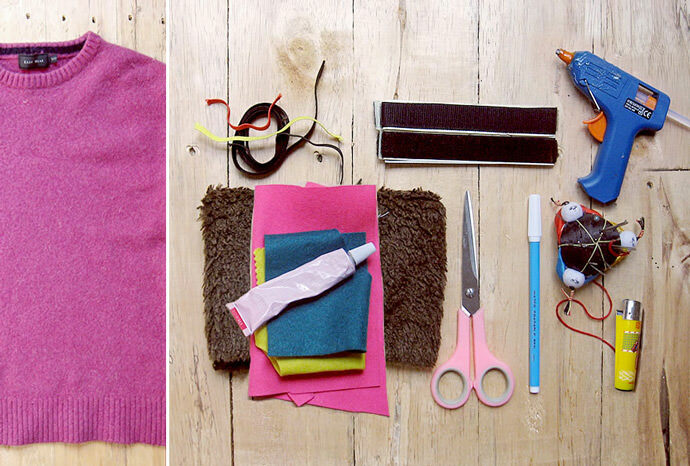 It’s fun and easy to make, and perfect for handing down an older sibling’s clothes. 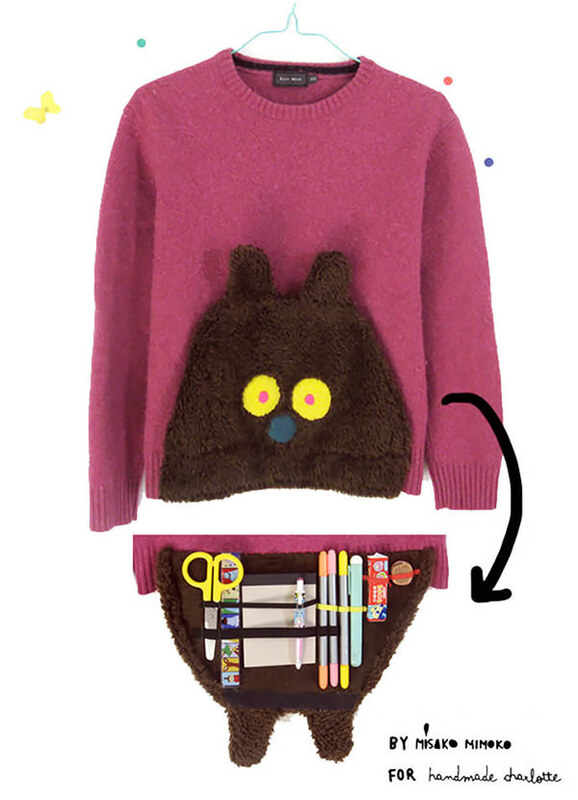 Inspired by a sweatshirt pocket when it’s closed, it opens to reveal a secret pencil case. You can use either velcro or buttons for an easy opening. 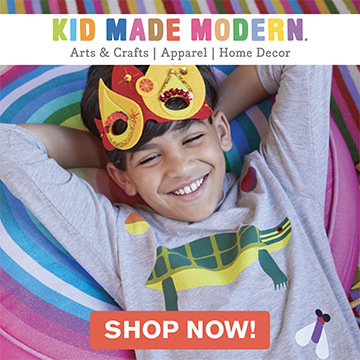 It’s super handy for keeping all those school supplies organized and “secret”—just let your kids choose what things they want to take with them! Download the pattern, print out and transfer to fabric, adding a 0.5” seam. 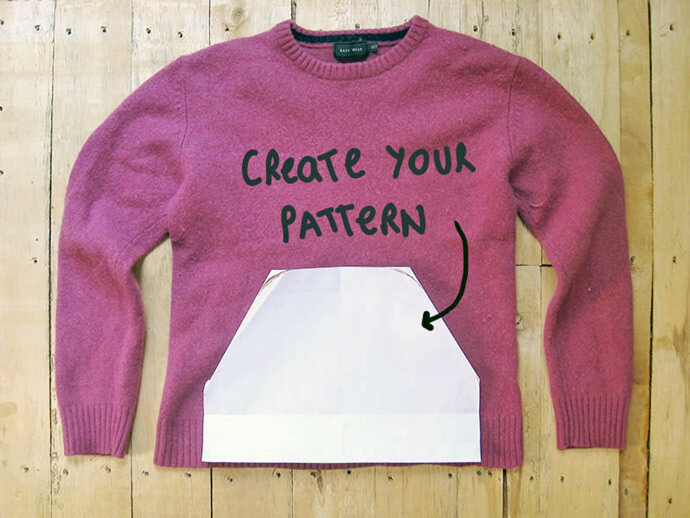 Or make your own pattern: you can use any template of an old sweatshirt pocket you already have. Now cut pocket and ears shapes on plush. I prefer plush for this project because once sewn, the stitches remain always hidden on the other side of the fabric. If you use a different fabric add lining. Choose all the things you what to keep inside your case. 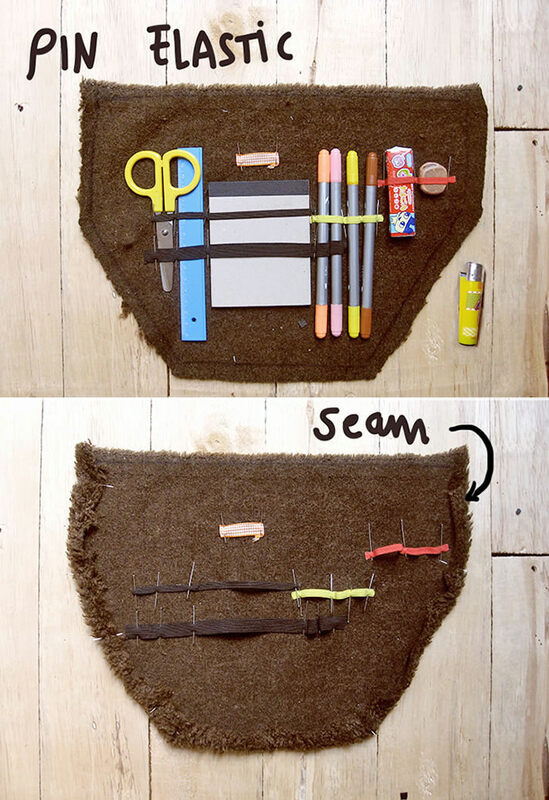 Cut out elastic trims and pin them while fixing everything in place. Burn the ends of the elastic trim with a lighter to avoid fraying. 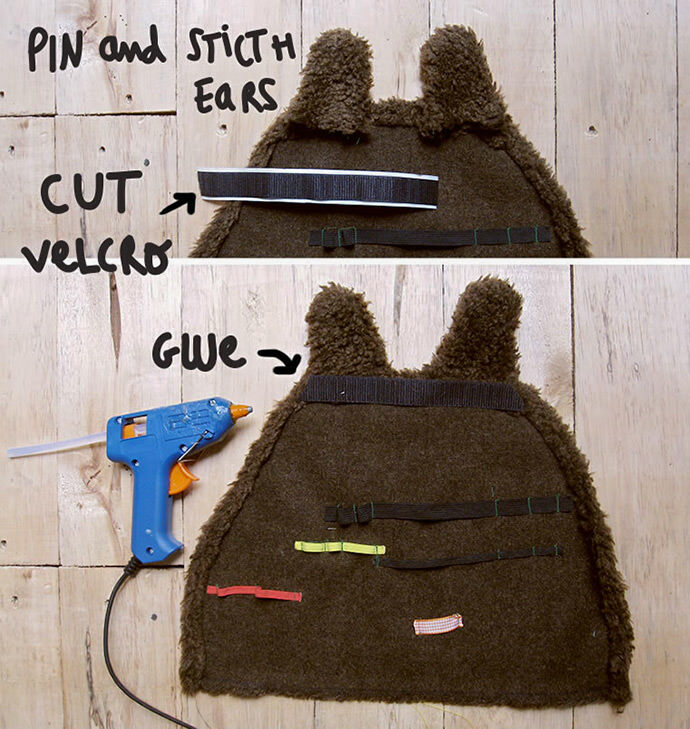 Stitch elastics, seam, and ears. Turn ears right side out. 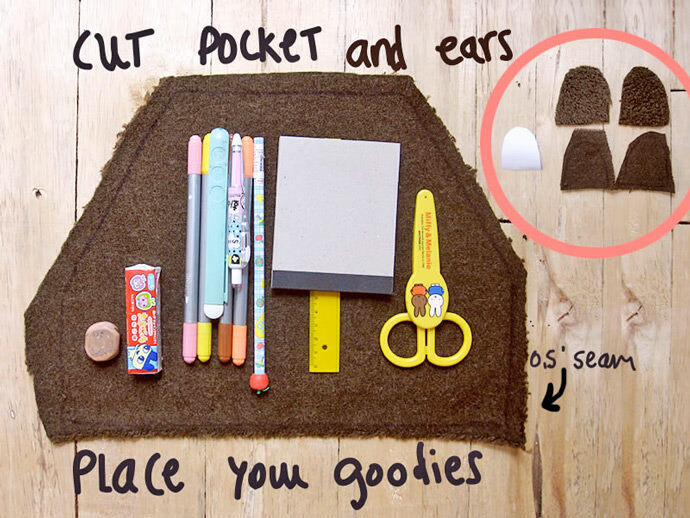 Sew ears to the pocket top. Cut out a piece of Velcro. If the hook side of the Velcro piece catches easily to your jumper surface, you don’t need to sew the other piece of Velcro on your jumper. Glue only that hooked side of Velcro to close pocket. 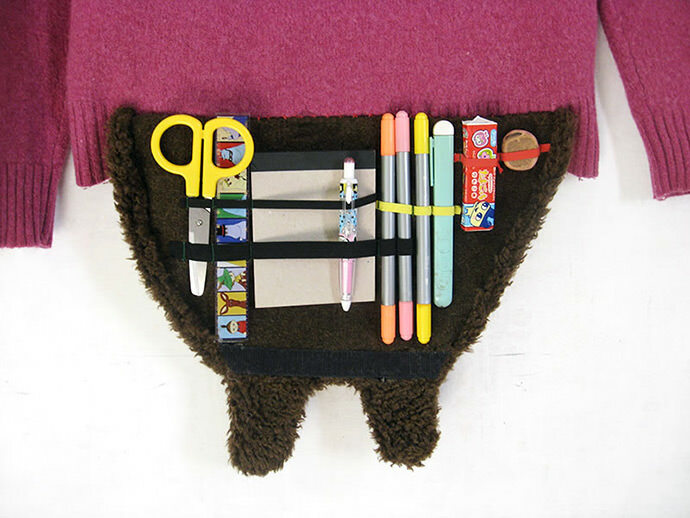 Once you’ve finished the inside of the pocket, decorate it! 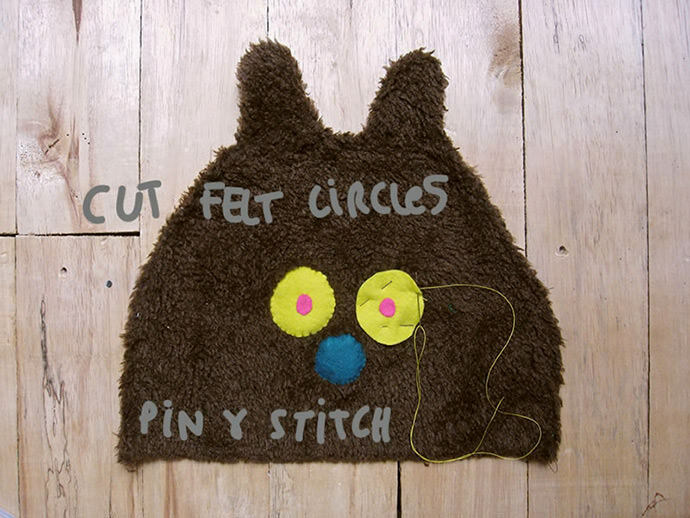 Cut out eyes and nose from template and stitch all around the edges using straight stitches. 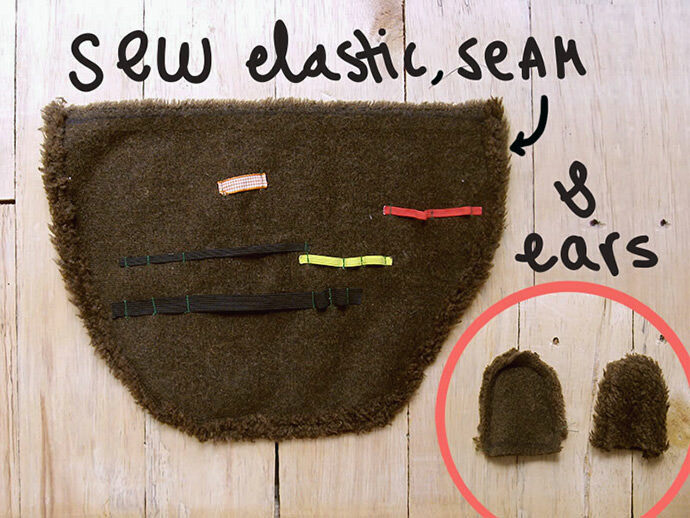 Place your new pocket centered at the jumper bottom, pin, and sew two lines all along the piece. Leave both sides open. You got it! Put all your goodies inside and enjoy your new secret case. 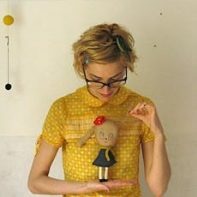 What kind of stitch did you use? So creative and cute!